IWV - Left Goes Low, Calls McSally a "Loser"
Left Goes Low, Calls McSally a "Loser"
It's all about empowering women -- until it's not, at least when it comes to the DSCC. Many on the Left claim to support women, but when a conservative woman scores a victory, they are often silent or worse -- mean. That's what happened yesterday after news broke that Rep. Martha McSally was appointed to replace Senator John McCain's seat in Arizona. Rather than applaud a second female for joining the Arizona Senate Delegation, the DSCC sent out a press release labeling her a "loser." Women won a record number of seats in Congress this election season and McSally will be the 25th women to join them in January. While it's understandable that the DSCC would have preferred a Democrat, their offensive press release was unnecessary and distasteful. In today's state of divisive and hateful politics, it's important that people and groups on both sides of the aisle make an effort to respect and uplift even those they disagree with. 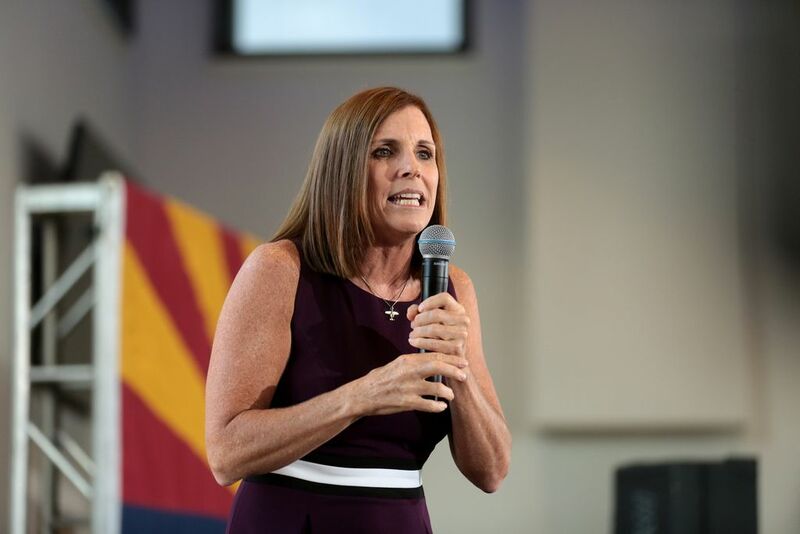 McSally's appointment is an accomplishment and a victory to celebrate.